I remember watching the first ever Rugby World Cup in 1987 as a kid. At that time it attracted a live audience of only 600,000. Today, it is the third-biggest sporting event on the planet, with a projected TV audience of more than 4bn. 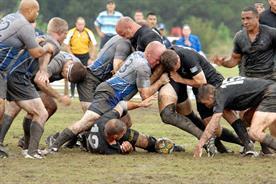 We are now days away from experiencing 20 nations battling it out on the rugby pitches of England and Wales. The anticipation is building, the teams are ready. It’s going to be six weeks of intense, emotional and physically demanding sport. I can’t wait. This time, I’m seeing it all from a very different viewpoint from when I participated in 1999, 2003 and 2007. I’m now looking at the tournament from the perspective of the organisers and the brands that make this event happen. Very different views, but fascinating all the same. The growth of the sports industry over the past 30 years is a remarkable success story that corresponds to Britain’s ascendancy in the sporting arena. Supporting 450,000 jobs, the sector has become a £20bn-a-year industry. Sport’s long-term economic impact has been driven by an acknowledgment that it generates almost universal, global, mass excitement for fans and brands, combined with levels of investment that seemed incomprehensible back in the 1980s. Its long-term economic impact can also be seen, with the government revealing recently that the UK economy received a £14.2bn boost after the London 2012 Olympic and Paralympic Games, beating its four-year target in less than half the time. The narrative of a major sporting event is unrivalled and truly social – both in the original and modern meaning of the word. The Rugby World Cup has mirrored this growth and this year’s tournament is almost unrecognisable from the first 16-nation contest (which didn’t include the Springboks [South Africa]), held in 1987 in New Zealand and Australia. Even if the passion of those fans remains the same, the number of supporters has grown exponentially; total attendance figures in 1987 stood at just over 600,000. Compare this with England and Wales' turn at hosting the tournament this year, in which 20 teams compete over a six-week period, with 2.3m tickets released for sale. 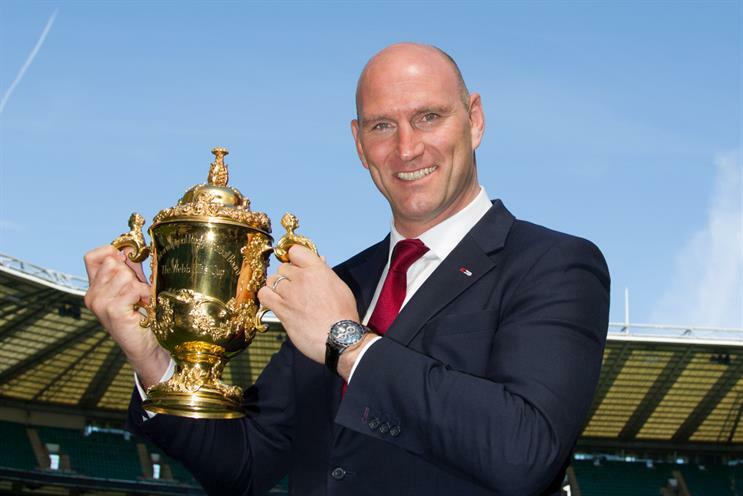 The Rugby World Cup is expected to deliver nearly £1bn of benefits to the UK economy, according to accountants EY. Advertisers have also noticed the growth in popularity of sport transforming, or reaffirming, how brands are perceived; they are keen to be swept up in the unique sense of occasion that sporting events can provide. The narrative of a major sporting event is unrivalled and truly social – both in the original and modern meaning of the word. People talk about sport in their millions. It provides spectators with the whole range of emotions – anticipation, excitement, joy. This should provide plenty of inspiration and opportunities for creative people. This was something that we were conscious of when we created the England 2015 'Too Big To Miss' campaign last year. The challenge was to ensure that all 2.3m tickets to the games were sold, so we went beyond core rugby fans to ‘big eventers’ – those people who had felt pumped up by the London Olympics and didn’t want to miss out on the next major sporting event in the country. So what lessons should marketers listen to when considering using sport to build their brands? First, to talk to a fan, you have to act like a fan. Your customers are passionate about sport, and brands need to find an authentic role. The key is always to demonstrate knowledge and insight – you have to communicate credibly and do it at the right moment. We chose Charles Dance to front the 'Team Talk' film, as his appeal extended beyond rugby fans and into the 'big eventers' we had already identified. Charles is also a huge rugby fan, so he spoke with real conviction and authenticity. You also have to enhance the event, which can extend the length of the association beyond the timeline of the tournament itself. For example, in this year’s Rugby World Cup, we have used Samsung’s association – its first with the game – to create a campaign that helps people understand the rules of rugby, because the more you understand the rules, the more you’ll appreciate the sport. First, to talk to a fan, you have to act like a fan. Your customers are passionate about sport, and brands need to find an authentic role. The 'Samsung School of Rugby' will be deployed throughout the tournament on TV and online. It carefully draws an association with Samsung by linking facets of the game that coincide with features of Samsung products. Our aim has been to enhance the game as well as promote the product in a credible way. At the last Olympics, British Airways, a top-tier sponsor, used the event to encourage people to postpone their holidays that summer and rally behind Team GB. An integrated campaign amplified BA’s ‘Home Advantage’ messaging, which highlighted the airline’s research into the benefits for athletes performing in their own country. The campaign extended way beyond the 17 days of the Olympics itself. BA provided the big screen at the Olympic Park and genuinely got the nation behind Team GB. This was a big sponsor creating a highly authentic and legitimate connection to the games. Brands want to connect with their customers and recruit new ones; sport and sporting events, such as the Rugby World Cup, offer unrivalled opportunities to be part of shared excitement, conversation and camaraderie which will be etched in people’s memories for many years to come. See you there.